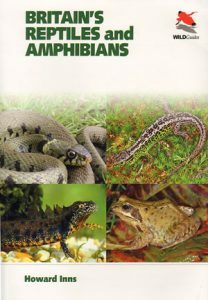 Britain’s reptiles and amphibians: a guide to the reptiles and amphibians of Britain, Ireland and the Channel Islands. This detailed guide to the reptiles and amphibians of Britain, Ireland and the Channel Islands has been produced with the aim of inspiring an increased level of interest in these exciting and fascinating animals. It is designed to help anyone who finds a lizard, snake, turtle, tortoise, terrapin, frog, toad or newt to identify it with confidence.